Select a open-back, closed-back, or freestanding mail sorter. Optional Plexiglas doors are available in clear or smoked versions. Select a preconfigured workstation, table, and mail sorter, or use individual mailroom equipment components to customize your own mail center solution. All Sorts of Shipping and Receiving Solutions. You can furnish your entire mail room with this comprehensive line of sorters, tables, cabinets, carts and more. Endless product, size and configuration options support your unique mail-handling protocols. Ergonomic design keeps machines and materials close at hand to enhance work flow and minimize fatigue. You can easily add and reconfigure components as your needs change. Step 1: Define the mail center space. Create a floor plan or scale drawing of your space. After measuring the dimensions, outline the room size and shape on paper. Measure doors, windows, pillars and other obstructions, then draw them to scale on your plan. Note the location of electrical outlets, air vents, thermostats and other fixtures that could affect furniture placement. Step 2: Define operational requirements. Review your operational needs, including all incoming and outgoing mail functions, plus any requirements for indirect equipment such as inserters and copiers. Step 3: Determine mail center workflow. Create a rough diagram (like the one above right) outlining how mail will move throughout your mail center. Determine the various types of workstations needed for each function, with an eye toward their location in your floor plan. Step 4: Select furniture for each workstation. Customize workstations with table and sorter accessories - e.g., risers under sorters to expand work surface space, under-table storage and more. Step 5: Match workstations to space. Draw the furniture youÍve selected into your floor plan. If it fits, youÍre ready to go ahead. If not, youÍll need to modify workstations, find additional space or design a more streamlined workflow. Our design experts assist hundreds of customers each year with mail-center projects large and small. Give us a call at (877) 878-8770 to talk with our space planning experts. Mayline Mailflow Accessories and Components This quality product line offers everything you need for your corporate mail center including sorters, tables, cabinets, carts and more. Optimize mail flow efficiencies while maximizing budget and supporting today's mailroom work flow and process. Mayline Mailflow System components are available in several styles and sizes. Mayline Mailflow Closed-Back Sorters are available with or without locking Plexiglas doors. You can select models with elevated risers that offer more workspace by raising the sorter off the work area. All preconfigured models are standard with two columns of 11" wide shelves and the remaining columns with 12" wide shelves. The preconfigured models have the a shelf depth option of 15"D or 14"D. The build-your-own models have a 12" shelf depth option. Mayline Mailflow Build-Your-Own Sorters are available with or without locking Plexiglas doors. You can select models with elevated risers that offer more workspace by raising the sorter off the work area. You can choose one of these Empty models with either an open-back or closed-back. Each format is available is a variety of sizes. Once you select an Empty Sorter, then you can select the shelf components that best meet your specific mail center requirements. Mayline Mailflow Freestanding Sorters are used where space is limited and a work surface is not required. Preconfigured models come standard with 3"H pockets in either letter (12"D) or legal (15"D) depths. Adjust on 1/2"H increments. All-welded steel cabinet construction. For other Freestanding Sorter models, see F/S Cabinets. Mayline's Mailflow Systems product line offers everything you need for your corporate mail center including sorters, tables, cabinets, carts and more. Optimize mail flow efficiencies while maximizing budget and supporting today's mailroom work flow and process. Mayline Mailflow System sorters are available in several styles and sizes. Mayline Mailflow Open-Back Sorters are available with or without locking Plexiglas doors. You can select models with elevated risers that offer more workspace by raising the sorter off the work area. All preconfigured models are standard with two columns of 11" wide shelves and the remaining columns with 12" wide shelves. The preconfigured models have the a shelf depth of 14"D. You can select an Empty model and build-your-own configuration to meet your specific needs. Mayline Mailflow-To-Go This low cost product line offers everything you need for your small mail center including sorters, tables, cabinets, carts and more. Optimize mail flow efficiencies while maximizing budget and supporting today's mailroom work flow and process. Mayline Mailflow Tables & Consoles arebuilt to support heavily loaded sorters or machines. The adjustable-height tables also support a variety of mail center work activities including wrapping, metering, shipping, receiving, and supervisory. The Mayline Mailflow System tables are available in several styles and sizes. Select storage tables with sliding doors or console tables with tambour doors. These tables help optimize mail flow efficiencies while maximizing your budget and supporting today's mailroom work flow and process. Adjustable height mail room or office tables are the basic building blocks for the mail center, mail room, warehouse and office. Finding the right adjustable height table is key; look for quality tables that will hold up to the day to day operation of a busy mail center or office. Adjustable height mail room or office tables are the basic building blocks for the mail center, mail room, warehouse and office. Finding the right adjustable height table is key; look for quality tables that will hold up to the day to day operation of a busy mail center or office. Mayline - MailFlow Sorter Accessories - Adhesive Label - Colored 3"
Mayline - MailFlow Sorter Accessories - Adhesive Label - White 3"
Mayline - MailFlow Sorter Accessories - Magnetic Label - Colored 3"
Mayline - MailFlow Sorter Accessories - Magnetic Label - White 3"
Mayline - MailFlow Systems - Mail Sorter Accessory - Task Light - 24"
VQV Discount Office Furniture You can design your own mail sorter using this Shelf Support which divides a sorter into columns, and supports the shelves within each column. You can design your own mail sorter using this Shelf Support which divides a sorter into columns, and supports the shelves within each column. You can design your own mail sorter using this Shelf Support which divides a sorter into columns, and supports the shelves within each column. You can design your own mail sorter using this Shelf Support which divides a sorter into columns, and supports the shelves within each column. Mayline's Mailflow Systems product line offers everything you need for your corporate mail center including sorters, tables, cabinets, carts and more. Optimize mail flow efficiencies while maximizing budget and supporting today's mailroom processses. Mayline's Mailflow Systems product line offers everything you need for your corporate mail center including sorters, tables, cabinets, carts and more. Optimize mail flow efficiencies while maximizing budget and supporting today's mailroom processses. Mayline Storage Tables provide a large storage space (28" deep by 19" high) for immediate access to needed supplies such as bags, cartons, envelopes, etc. Available with locking doors to hide clutter and secure contents. 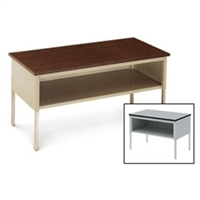 Mayline Storage Tables provide a large storage space (28" deep by 19" high) for immediate access to needed supplies such as bags, cartons, envelopes, etc. Available with locking doors to hide clutter and secure contents. 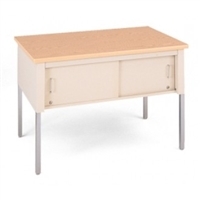 Mayline Storage Tables provide a large storage space (28" deep by 19" high) for immediate access to needed supplies such as bags, cartons, envelopes, etc. Available with locking doors to hide clutter and secure contents. Mayline Storage Tables provide a large storage space (28" deep by 19" high) for immediate access to needed supplies such as bags, cartons, envelopes, etc. Available with locking doors to hide clutter and secure contents. Mayline's Mailflow Systems product line offers everything you need for your corporate mail center including sorters, tables, cabinets, carts and more. Optimize mail flow efficiencies while maximizing budget and supporting today's mailroom processses.